We have been approached again this year to provide 1 or 2 students to attend the Creative Writing Course at Ty Newydd from 21st - 24th March 2019. The Club will send 2 students from the Marches Academy at a cost of £265 each. 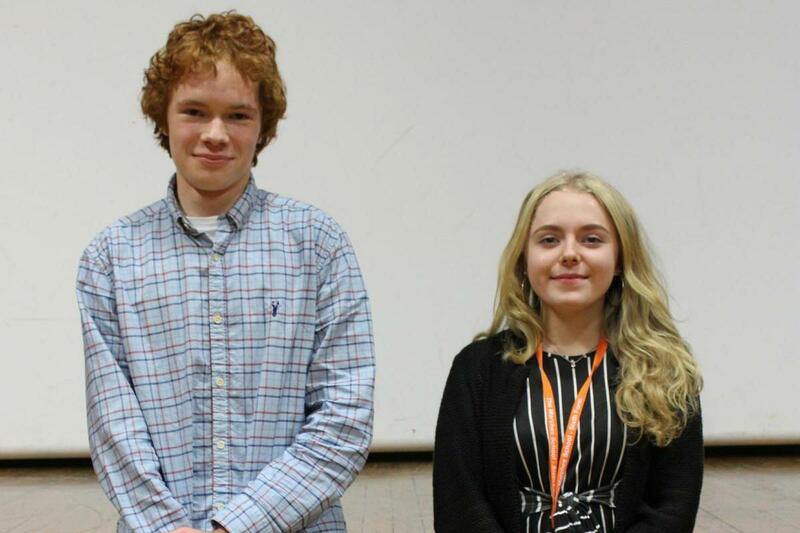 The Marches Sixth Form received the excellent news that both Robbie Mitchell and Jessie Shaw have won places on a residential creative writing course in March. Both Robbie and Jessie wrote pieces on ‘Unity’ for the Rotary Writers Competition and the judges were impressed with the students’ potential as writers. The judges described Robbie’s writing as having “great research, a novel approach and sheer intelligence” and Jessie’s as being “very astute that made you think with a great ending”. Amanda Jones, assistant head of Sixth Form, said: “This success is testament to the amount of hard-work and effort that our students put in to both their academic studies and extra-curricular activities. "It is fantastic for them all to receive this recognition. We would like to wish them all the very best of luck for the residential course”.